The Phoenix Scholars was founded when Michael Tubbs realized that the success he had in the college admissions process was in large part due to the free application consulting and mentorship he received. As a first-generation college student from Stockton, CA born to a 17-year-old mother and an incarcerated father, Michael was never supposed to make it to somewhere like Stanford University. However, during high school, he was blessed to meet Carolyn Lawrence, a private college admissions consultant who guided him through the admissions process. 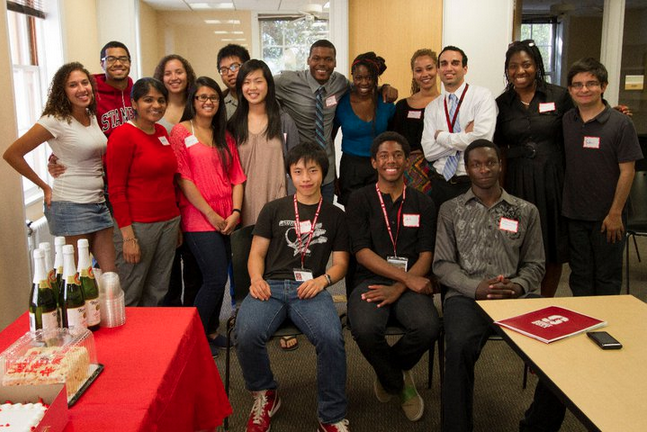 Motivated by his experience, Tubbs approached some of his Stanford peers in 2010 with an idea to start an organization that could provide counseling to other under-served high school students. The Phoenix Scholars was born. Now in its seventh year, The Phoenix Scholars continues to show impressive results in motivating and supporting low-income, first-generation, and minority students. With an original class of just 50 mentors and 98 Scholars, our Phoenix Scholars cohort is on track to double in size in the 2018-2019 academic year.